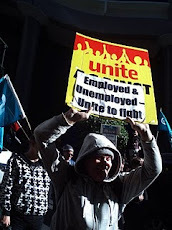 Members of Unite Waitemata spoke to Radio Waatea about the protest against Paula Bennet last week. Go to this link to hear the full conversation between our member David Bedggood and the radio station. 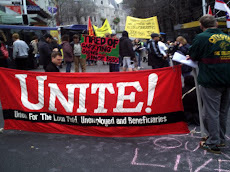 "Unite is trying to recruit more Māori into its campaigns against welfare changes. 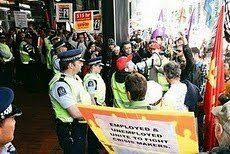 The union for low paid workers last night picketed a speech given by Social Development Minister Paula Bennett in her electorate office in Henderson. Spokesperson David Bedggood says Ms Bennett is the face of the Government’s welfare reforms which are targeting the most vulnerable in society. He says the focus on making all beneficiaries including the sick and the invalid look for jobs that don’t exist is creating huge stress, especially for Māori, Pacific islanders and older workers. "I ran into a Māori woman outside New Lynn. She’s got cataracts and problems with her hands and yet she’s being expected to train to go into a call centre and she’s about to retire. 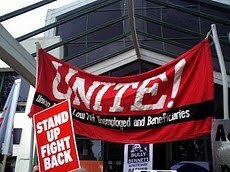 This is the sort of absurdity that these people are putting on people and I’m afraid Maori are badly affected and we need to make sure we get more of them involved in the struggle and join Unite Union," Mr Bedggood says. 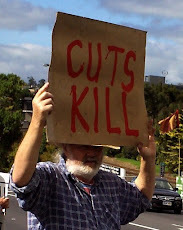 He says Paula Bennett is promoting a philosophy that depending on a benefit is a form of sickness that can be cured by getting a job, whereas the pressure put on people to seek work is making them more sick." 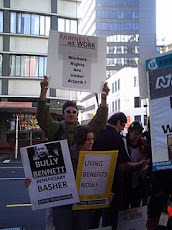 Nearly all beneficiaries are treated by WINZ like second class citizens.